A wooden lamp in a more defined form is here to beautify your space. 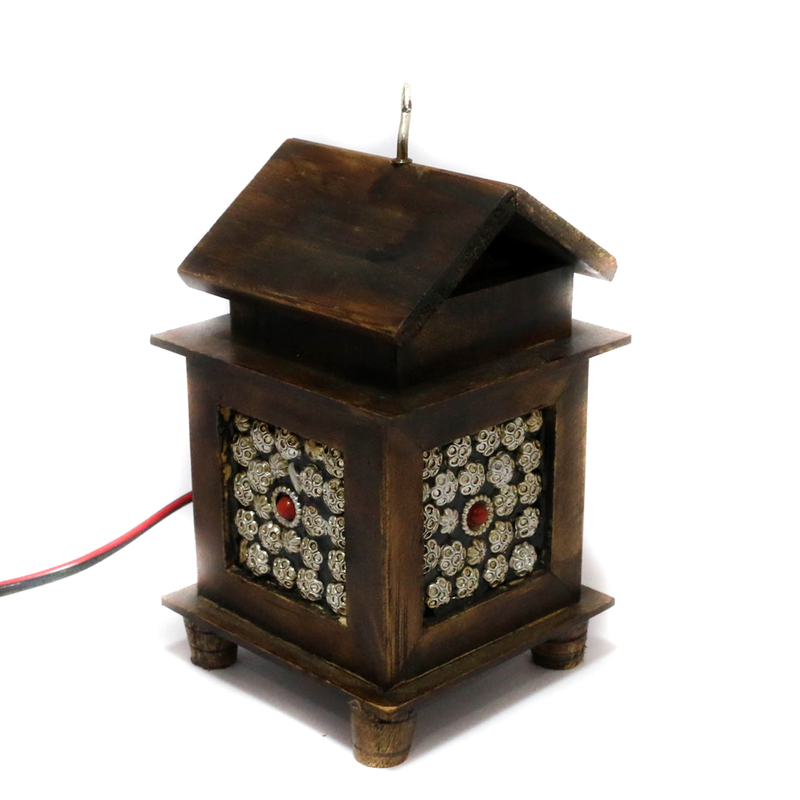 This lamp comes stationed within a hut-shaped structure in dark brown Read More..hue. The entire lamp is a replica of a miniature hut. It is also studded with stone work imitating windows of a hut. Show Less..